Acting President, Prof Yemi Osnbajo (SAN) has explained why he would not support any secessionist group. Osinabjo said after series of meeting with groups from the north and the south eastern parts of the country, they all unanimously agreed that Nigeria must remain a united country. 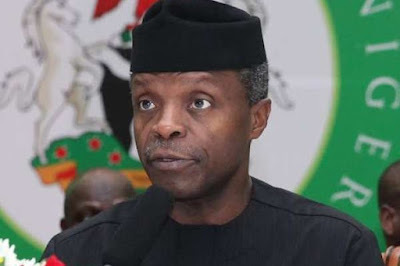 Osinbajo was quoted by his spokesman, Laolu Akande as making this remark at Iftar dinner he hosted Monday night at the Presidential Villa with Northern Traditional Rulers. According to the VP, with the way things were developing around Nigeria, today, the people had no choice than to remain as a one and united nation. According to him, “All of us have however agreed that our nation must remain one. When we spoke yesterday with traditional rulers from the South-East; despite the issues that were raised here and there. I think that there is clarity as to that one thing, that our country ought to remain, must remain a united country. “And in any event, the greatest nations in the world are those nations who have the size as well as the human resources in particular to make the best of that size, and I think our nation has that and the mere fact that we have such a large nation and so well-endowed, in terms of human resources. “I think that we are in the best position not only to be truly great but to ensure that all of our people benefit from the greatness of our country. “So, I want to thank you again for your kindness and for doing us this honour of attending this Iftar and for sharing the love of the season.